Bernard Kelvin Clive spoke with the Ardor Media Factory CEO and SEO Expert Kris Reid on maintaining and improving your brand reputation management online using Search Engine Optimisation. SEO Brand Reputation Management is seen as the key to getting websites at the top of search engine pages and this informative podcast between Bernard and Kris will help you understand the importance of maintaining a positive online reputation and how you can keep it that way. Whether you’re starting out or needing a new lease of life in your website, tuning in to this SEO podcast will help you gain a deeper understanding into optimising your brand reputation. Read and listen to the podcast with Bernard Kelvin Clive here. Bernard invited Kris onto his podcast again in 2017 to discuss backlinking strategies that you can use for your brand. In the digital age, brand visibility is one of the most sought after positions online. In this episode, Bernard and Kris discuss some SEO and backlinking strategies. You can listen to the podcast here. 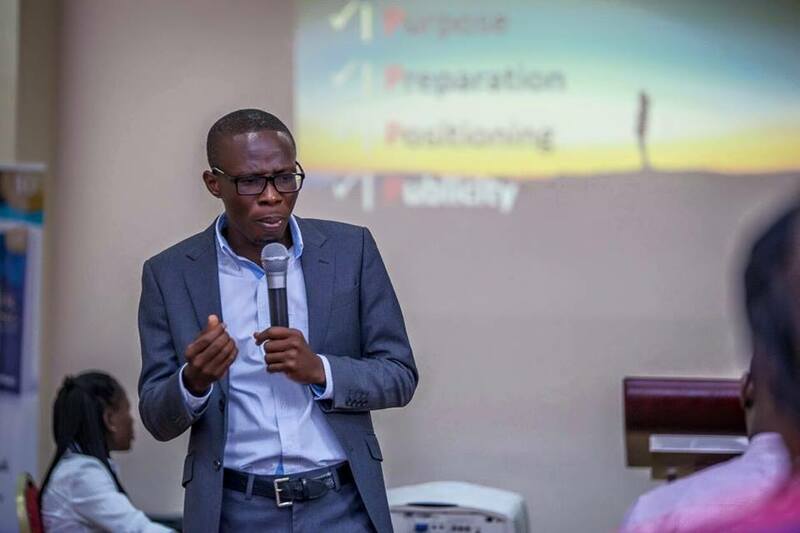 Bernard Kelvin Clive is a bestselling author, revolutionary in digital marketing and a pioneer in all things personal branding and online marketing in Ghana. He runs a website, BKC, where he posts his podcasts regularly as well as talking about topics surrounding online brand reputation, social media and much more, including links to his products. Bernard: Right, welcome to another edition of your personal branding podcast and very interesting edition today as we look at reputation management. The expert we meet today is Kris Reid. Kris Reid is a software engineer and the ‘…’ and reputation management expert and founder of Ardor Media Factory. Kris welcome to the podcast show. Kris: Hey Bernard, thanks for having me man. Bernard: It is a pleasure I treasure. Bernard: Tell us a little bit about your background and how you got into internet business. Kris: Oh well I am a software engineer myself. I originally worked for all the big banks like Visa Europe and ‘…’ and as the global financial crisis struck I lost my job like pretty much everyone else working in finance and so I wanted to learn some new skills. So I was playing around with internet programming. I made a little web game just for a bit of fun, to learn some new skills and as the game was nearing completion I thought well how am I going to get people to play it? And so I started learning about internet marketing and search engine optimization and I kind of worked out that I had quite a knack for it and really quite enjoyed what I was doing and you know, slowly started transitioning towards being an SEO professional and, you know, six years later we have got quite the growing empire. Kris: It is not even a game that ever truly got finished it was just a little only gangster game. It was really just a bit of fun to learn some internet programming. Kris: Yes for sure I mean you have got to try and be quick to market, try and get things out to users to see if it is actually something they want. Like our game, it was, as I said, it never even was truly finished but we still had probably 1000 registered members and lots of people playing it even with heaps of bugs in it – I do not know why they were playing it but you know, it is good to kind of get it out there, get the feelers, see who is liking it and what they like about it and how you can improve it better. Bernard: Now lets get into your, the meat of the day, we are looking at reputation management, building online brands and how to protect your brand and how to position it. First off lets look at this: if you have a name, sharing a name with a celebrity, having the same name as a celebrity, how then do you position yourself. Do you use SEOs or whatever you need to do online so that is when your name is searched for you can ‘….’ On the first few pages of Google to have good brand connectivity. What do you do? Kris: If you have the same name as a celebrity it is going to be difficult because, you know, Google is trying to provide the most correct result, so what they think the person is searching for. So, you know, if your name happened to be Brad Pitt the chances are someone searching Brad Pitt is searching for the Hollywood celebrity so, you know, Google is providing the right result. All you can really do is to try and establish our brand bigger than them and I would hope your name is not going to be Brad Pitt because it is going to be pretty difficult. You know, one thing to consider with that too is like you know, every business and every business expense like marketing, it matters about the return on investment – the ROI – so how much you spend and how much you are going to be get back so, you know, if your name was Brad Pitt and you thought it was really critical to get your name ranking above his, you know, it might cost you $10 million and it is like well is that going to bring you in $10 million worth of business? Like it better bring in a lot more than that to cover it, you know, so maybe you should think of a different way to advertise – you know, what might your customers be searching for? You know, perhaps go for your business name rather than your personal name or you know, build your products names out or, you know, look at a better way to get a return on your investment there. Bernard: Maybe you can then look at how to then connect with your professional, maybe the musician, or the wrestler, or the car dealer or whatever. Kris: Yes I mean well generally if someone was searching for you they should be able to find you. But back when I first started SEO it is a much more mature industry now so people really know a lot more about SEO but a lot of businesses I would talk to, they are like well if you Google our business name we are number one. And you go well that is people that are searching for your business, you know, they know you already. It is the people that do not know you that you need to capture. So it is like if you are a plumber in New York, you know, you do not want someone that is googling John’s Plumbing – they already know how to find you, they are just looking for the number. It is someone that is looking for a new plumber that is searching, you know, plumbers New York, that is the sort of key word that you have to rank for. Bernard: Quickly, ‘…’ idea of SEOs, what is that and why does it matter in the internet age in the search engine business? Kris: Well I mean SEOs is search engine optimization, it is a necessary evil in this day in age. I mean Google is trying to select the best search results naturally so it looks at all of the websites on the internet and it tries to work out what they are and bring you the right result, and so staying on the plumber New York line, it will look at all the plumbers in New York and try to establish which one would be the best one for you to search to present you with the best result. That would be fine but until one plumber starts doing SEO and once he is better at telling Google you know that he is the best plumber in New York then up he goes in the ranking and suddenly everyone has to do it because otherwise you are going to get left behind and you are just not going to appear in the search results and you know, that is your life ‘…’. It is the bread and butter of most businesses. Bernard: In looking at online reputation management, a politician online have a good PR and ‘…’ system now ‘…’ beginning to have media publicizing negative news about him, which is true of course, how then does he begin to reposition himself from that bad media for the badness he did to position himself as a good person or ‘…’ an error he did? How does he do that online with all the big news magazines online spreading his evil or badness he did? How does he come out? How does he resurface? ‘…’ the process of reputation management online. Kris: Well I mean whether it is a blunder of what he did, that is subjective yes, I mean a news article about an event, it is always subjective. A news agency will have their own agenda, a good news agency tries to be independent but it is very hard to find a truly independent news agency, so whose to really say whether their opinion is right or wrong? I mean we do work with a few politicians and high profile celebrities that have had slander against them, whether you call it slander or media attention, whatever and it can be very difficult. Like we are working with an investment banker at the moment in Australia and the Australian ABC, which is the government news agency, they wrote an article about him and it is very detrimental to his business and so we are working on trying to promote him more in the limelight of the good things that he does. Like you know, he does a lot of work for charities and helps organisations and helps poor people to, you know, better deal with their money and you know, trying to alleviate poverty and we are trying to shine a light on this sort of stuff and hopefully Google picks up what we do and eventually outranks it over the top of the negative stuff. You know, the more authority a site has, so like the ABC, which is a huge authority in Australia, Google trusts their opinion so if they say something they are going to rank, you know, you are going to have a really hard time outranking them. You have to build up, you know, even more trust and even more authority than a news agency which takes a lot of time and a lot of investment and when we first took this customer on I explained to him, you know, that it is going to take a long time and it is going to be very expensive because, you know, the ABC is just such an authority that to build up more credibility than them takes you know, months and a lot of resources. So again you have to weigh up the ROI, how much is this a detriment to his brand and his reputation and you know, he estimated that yes it is worth it and so he has gone with the very hefty investment. You know, hopefully if anyone is listening has any bad publicity, hopefully it is not by you know such an authority of a news agency, then it is a lot easier to beat. Bernard: So what would ‘…’ do if he had bad publicity and it is not by a news agency but it is maybe by own personal deeds or setting things, how can you begin to, on your own begin to reposition yourself or your brand online? Kris: So a similar situation – a customer of ours got attacked by a competitor – a competitor started writing all of these nasty reviews about them, started positing in forums bout how terrible they are and all of these really terrible things and it is not good business to do that. You know, they already did it and so the customer came to us to try and fix it and you know, they are not hurt by any news agency, it is just little forums and stuff so it is not that hard to fix. The first thing we suggested is: go to your friends and family, go to your customers, ask them for reviews. You know, share your Google plus, your know your Google places address and get people to write reviews – real people: your friends, your family, your customers – tell them what they think about you and then, you know, just your Google places reviews will be flooded with good, real reviews. You know, that will speak volumes in itself and then you can go to a number of other review sites and do similar things. You know, you can go as far as building other websites in the same name, like say your site is called you know johnsplumbing.com you can build another site called johnsplumbingreview.com and then people typing John’s plumbing reviews will most likely see your review site and then you can have good information. Another one is if people have complaints about you, so like John’s plumbing complaints, you can have another website called johnsplumbingcomplaints.com and so it will be the number one that comes up in Google and then you can just have some nice information: hey we are John’s plumbing, if you have got a complaint, simply talk to us and we will, you know, do our best to resolve it. What you want to do with people who have complaints is get a dialogue opening, you know, customer feedback is great. Kris: There is actually, on that same note, one of the companies that we work with who does a lot more bricks and water sort of business, what he offers for his customers is he hands them a, as they leave the shop he hands them a little postcard that says, you know, how did you like our service? And it has got a little QR code that they can code and it has got a short URL so they can quickly go to this website and it has got ‘did you like our service: yes or no’. If they click yes, then it says well would you mind leaving a review and it shows Yelp and Google Plus and you know, any online review place. If it says no, if they click on no that they did not like the service, then it asks them what they did not like and it gets sent straight to the company. So this way, rather than them posting a negative review online, that feedback is going straight back to the company and they can deal with it internally. Bernard: I think that is great tool that companies and big brands or small ‘…’ can really implement to really help their brand because in this way they are just collecting all the data ‘…’ good reviews and the bad one comes directly to them and then they can work with that. Kris: Exactly and you can learn from it, see what the customer did wrong and a lot of the time you can fix the problem and you know, even get that customer back and make them happy. Bernard: So what about if there is an ‘…’ online ‘…’ can you just send them an email and say you wrote this about me can you pull it down? Is there a way you can also address that in some of these ways? Kris: I certainly would not recommend doing that, I mean like I know of companies like the one that I was talking about where they have competitors targeting them and being really malicious online. Even responding to it can, what is the word, give it justification like it can even encourage them to post more negative things, I just really would recommend ignoring it. Do not bother going to it, you know, if Facebook make Facebook pages negatively about the customer, about the company, you can report it to Facebook and they may remove it but they may not as well. I would recommend reporting it to Facebook and seeing what happens but I would not bother trying to send the person a message because if they are getting benefit or joy out of trying to cause harm to you or your business then speaking to them will only excite them more and encourage them to, you know, do more of the childish rubbish. Bernard: Ok so on average, if we are not dealing with a very popular person or who are very popular person ‘…’, and we are looking at maybe the average person or ‘…’ maybe competitor ‘…’ and the person wants to resurface his brand online. What is the duration, how long will it take the person, the average person to look good on Google ‘…’ positive things about your business ‘…’ online? On average, how many weeks or months or even years will that take not so far, let me say ‘…’ say a famous, a real famous person, ‘…’? Kris: There is an old saying that is takes a lifetime to build a reputation and seconds to destroy it and that is very true, so you know, you should guard your reputation very well. How long is piece of string? It is very hard to say such a thing but there are great ways you can help your reputation that are very cheap like LinkedIn is an excellent resource. I recommend connecting with your customers there and you know, asking them for reviews. Do not just do a blanket, ask everyone. Send them a personal letter, you know, go hi Bernard, we worked on this project together, would you mind saying a few words? And people generally will not mind spending two minutes to write something nice about you and then it is there forever on your LinkedIn page and you can show that to other customers or ‘..,’ perspectives and go look what all these great people are saying about our business, you know, you will love us too. Bernard: Ok so there is always a way ‘…’ it could even take a lifetime. Kris: Yes for sure I mean, like brand reputation online, like obviously big businesses like Coca Cola, you know, they send billions per year you know marketing ‘…’. Generally most companies do not have that kind of budget worth you spending $5000 per year building your reputation because that brings in $20000 worth of business and do it all day long, up it to 10 and see if it brings in $40000 worth of business. It is, you have got to kind of do it and measure, try and measure, you know. Bernard: Yes Kris now let’s look at some average figures, can you just give us some average figures. Someone wanting to have a good reputation online, let’s say, Ardor Factory, that is what you do for people, ‘…’, companies and corporations. Now let’s say, what is the average investment one would need to put into, ‘…’ average per year or per month to invest in an online reputation. Can you give us some figures? Kris: Well I mean it depends, if you are going to use a company, a service like ourselves, it can get quite expensive. I mean we have got a professional team that you know, will walk you through every step of the way, we can help guide you to do it yourself or we can do all the work for you – it depends on how much work you want to do. You know like if you want to, you know, if a person wants to do it themselves, they can do it themselves, it is not that hard. You know, look at your Facebook page, post some nice stuff on there, you know, interact with your visitors, look at LinkedIn, you know, see where your customers are. If they are on Google Plus, be on Google Plus. You know, try and interact with your customers and learn what they are doing and how you can talk to them and how, you know, they can see your brand. You know one of the cheapest ways to establish a brand is called remarketing, so remarketing, you know, both Google and Facebook have that, it basically puts a pixel on your computer, so it measures once you go to a site, say you come to our site, then we will set up remarketing, Google will know you have come to our website, so then when you go to Facebook you will see our ads and most people have no idea what remarketing is but they will see our ads and go wow these guys are everywhere, they must be a giant company, they advertise on every site on the internet. So it is a great way to, you know, establish your brand cheaply and generally with most of those advertisers like on Facebook and on Google, you are only paying per click and you know you are remarketing. Your audience might be a couple of hundred people so at most you are getting a couple of hundred clicks per month and add a couple of cents per click, it is not going to break the bank. Bernard: That works cool, that works cool. Kris: Sorry that I am a little vague on the actual numbers, because it is again how big, what is your competition? What market are you in? Like we have got customers that are from ‘…’ sort of plumbing shops to, you know, multi-national corporations and you know like one of our customers is a multi-national corp that sells trucks, you know each one of their trucks sells for about $300000 so it is like what do you, you know how much are you going to invest in marketing when your product is $300000, you know? Bernard: Ok yes so the client and the investment and the return on investment ‘…’ price ‘…’. Kris: Exactly and you know, so if your product is hundreds of thousands of dollars then it is probably a pretty competitive market too so it is worth spending a lot of money perhaps. Where, you know, if your products costs $1 then you know, you have got to really watch your pennies where you are investing. Although you know, Coca Cola only costs $1 but they spend a lot on marketing because you have got to spend a lot of dollars on that Coca Cola. Bernard: After repositioning your brand or having your brand remarketed online for you, what happens to your offline reputation? Kris: Well your offline reputation can be just as important too, especially if you are a bricks and water business, you know, like we are an internet business, we service people all over the globe. You know, we have got customers from America to New Zealand 24/7 but if you are, you know, a bricks and water business so you service a small area, well it is very important to maintain your offline reputation. So you know, you want to keep your store front looking nice, your brand looking nice, but you know, you should really be in touch with your customers – what are they doing? What do they think about you? You know, if you are a pizza shop did they like the pizza? Have you tried a new flavor? Can you get, is it ‘…’. There is a saying there too like a happy customer might tell one friend, an angry customer will tell one hundred people. You know if people have a bad experience, they cannot wait to tell other people they had a bad experience so it is really important for you to get in there first and find out if someone had a bad experience why, what you can do to stop it happening again and how you can turn them round to be a happy customer. Bernard: Kris I want you to give us your top five tips for reputation management online – what are five things that you want to let listeners have especially those who are yet to position their brands online? What are the five things to do and then we can look at the five not to do. Kris: The first thing that I would do would be set up a Google alert so Google alerts is a free tool by Google. You can type in any keyword and how often you want to be alerted to so you should put in your brand name and your personal name and maybe even your product names and so any time Google sees anything new on the internet, so when it spiders off crawling the internet and it sees a new, you know, new article about Bernard it will let you know and then you can go and see was it positive or negative? If someone is negative you have got to work out why straight away, you know, because as I said, then you can deal with it, work out if your company did something wrong, how can you turn that person’s you know, frown upside down, make them smile. So yes, monitoring your reputation is the first thing. Making sure that, you know, angry customers know how to talk to you. Building happy relationships, like I personally speak to all of our customers so they know me, they know how to contact me. If they have an issue with anything any of our staff have done or they are not happy with their product in any way, they know they can talk to me directly and then I will fix it and everyone will be happy again, because you know, sometime things are not perfect. We try to make sure everything is perfect but you cannot be perfect all the time, but as long as people feel that there is a channel, that they can communicate that, you can fix the problem and make it perfect again. So yes I would say they are my main points is, you know, to manage your reputation is to monitor it and, you know, be in touch with your customers. It is, you know, it is difficult if you are a retailer and, you know, you have a small product like, you know, like a drink, a Coca Cola. It is hard to know all of your customers if you are Coca Cola but you should still try to have a feel for the market and what they are doing. Bernard: Alright now before we run out of time can you tell us a few things, we have about three real advantages for the need to have reputation management online team or company to manage your online reputation? Can you give us some advantages why there is a need especially in this age? Kris: Yes for sure, Adam Smith, 400 years ago during the Scottish Enlightenment, he wrote a book called the wealth of ‘…’ and his whole premise was nations become wealthy through the division of labour, you know, you have to become a specialist – you cannot be a jack of all trades and a master of nothing. And if you are sitting there focusing on your reputation rather than making your product good, you know, so rather than being John the plumber or you know, Bill the baker, you know so it is important not to be a jack of all trades. You should be a specialist and focus on what you do. You know if you want a pizza, you do not learn how to become a pizza chef, you go to the pizza shop and get a nice pizza. If you want a website built, you do not learn how to build a website, you go to a web designer and get a website built. It is, you know, if you want a new house, you do not built it yourself, you hire a builder. Focus on your business and what you are good at and you know, leave the rest to the professionals. That is my advice. Bernard: I think I like that. You need to really focus on your strengths, work on that and then you can ‘…’. Just one other thing that I really tell people, you do not need to be a jack of all trades, you just need to find an area, niche it down, specialise and work on it, the rest you can just outsource. Kris: ‘…’ watch your reputation and grow it. Happy customers is what allows you to grow as a business, you know, keep doing a good job, keep everyone happy. Bernard: Kris where can we get in touch with you and the things you have to offer, your services and your company? Kris: Yes you can check out ardormediafactory.com, send me email at kris@ardormediafactory.com and I will be happy to answer any questions you have got. Bernard: Great one Kris Reid. Thank you so much for your expert advice on reputation management and what we should do to position and keep our brands online. Kris: Awesome, Bernard. Thank you very much for having me and I hope I help your listeners out. Bernard: Ok at this time I want to recommend my ‘…’. I want you to pre-order a copy of the book, the new ways for reputation management: 99 ways to build and boost your brand visibility. My name is Bernard Kelvin Clive and I want you to head onto Amazon Kindle and pre-order my latest book on reputation management and brand management and the title is the new ways for reputation manage: 99 ways to build and boost your brand visibility so pre-order a copy today from Amazon Kindle. Search for Bernard Kelvin Clive the title is the new ways for reputation management.